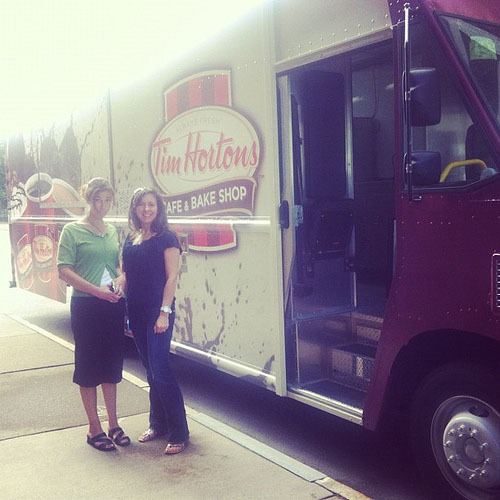 This morning Mary Irene spotted Facebook that the Tim Horton's truck was parked a few blocks from us giving out free coffee. We hot footed it down there and caught them just as they were closing up. I almost hopped on when they weren't looking. 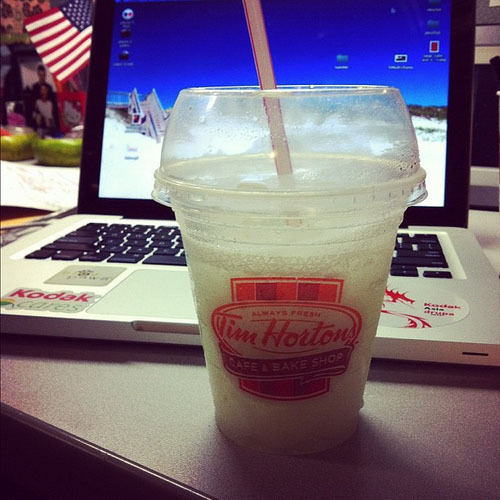 My frozen lemonade was so good - not too sweet - it got me through the morning. 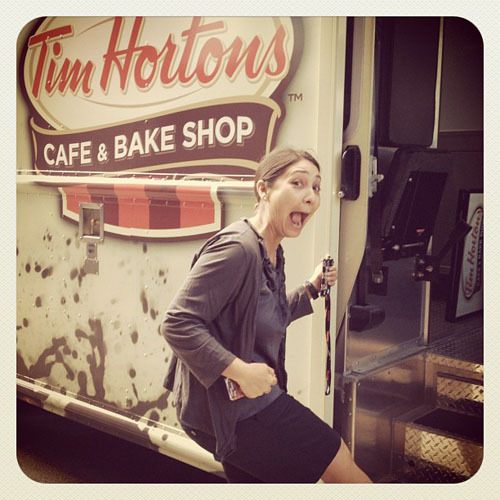 I'm hoping we can get them in our office parking lot sometime. I have been taking yoga and pilates at work and also walking the pugs a lot! Thanks for noticing!